The gaming world was a very different place back in 2001; the home console market was dominated by the mighty PlayStation 2, Nintendo was launching the GameCube and the Dreamcast was proving to be a lead weight for Sega. But it was November of that year that will be listed in the annals of gaming as a month that redefined consoles for a decade to come – bringing the launch of Microsoft's Xbox. 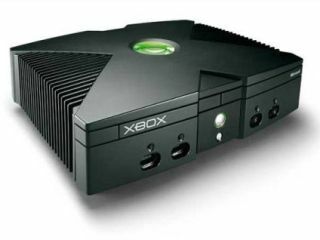 When Microsoft launched its Xbox on 15 November 2001, it was far from a guaranteed success; the software giant did have some gaming experience through the PC, but despite some impressive hardware, few believed that the console could truly compete with a brand like PlayStation. However, Microsoft had a few tricks up its sleeve that would convert an idea they had first publicly touted back in 1999 into one its best known products. The first was the acquisition of games developers Bungie, securing a launch title called Halo: Combat Evolved – a game that would become synonymous with the Xbox. The second was the arrival, a year on from Xbox, of Xbox Live – a service that took the increasingly popular world of online gaming that had been flourishing on PC, and brought it to the US console. Of course, Microsoft had not only the financial clout but also the links to hardware manufacturers and developers that were required to make a success of a console, but the Xbox project – evolving out of the work being done on DirectX at the company, represented a huge risk. A collaboration with Sega on the Dreamcast was already looking ignominious and the decision to try to crack the traditionally Western-averse Japanese market was widely derided as it came at the expense of a speedy European launch. And yet, Microsoft's console performed admirably, with consumers flocking to buy a console with nifty features like a built-in hard drive, the capability to rip CDs to create custom soundtracks and support for Dolby audio in actual gameplay. By the time the console arrived in Europe in March 2002, it was already shaping up to be a key new area for Microsoft, and the arrival of Windows Live in November of that year brought the kind of online gaming that began to define the Xbox. There were, somewhat inevitably, mis-steps; the original controller was mocked for its expansive size and was eventually replaced with a more svelte version but by and large the Xbox had shown the world that PlayStation's position was not guaranteed, despite the deserved runaway success of the PS2. Just four years on from the launch of its predecessor, the Xbox 360 arrived – beating the PS3 to market by an entire year and, perhaps most importantly, showing that Microsoft had learned its lessons from its first foray into the console world. Aside from taking advantage of the major strides forward in technology the Xbox 360 focus was on Xbox Live, and the remarkable success that this had brought with it. The Xbox 360 was an immediate hit – not only bringing upgrades from the fans of the original, but also tapping into the wider gaming market and making huge inroads into the European market. Sony's PlayStation 3 was on the way, but delayed by the need for the integration of Sony's Blu-ray, whereas Xbox 360 neatly sidestepped the whole problem of format war by sticking to DVD as its spinning media (an HD DVD add-on was an extra, not integrated). Rushing to market may well have been a calculated risk, however, with the Xbox 360 beset by major hardware problems through the early part of its life-cycle. Indeed, the now infamous red-ring of death became so problematic that Microsoft had to swallow a huge financial hit by offering to replace bricked consoles – at a cost of around $1 billion. However, despite the hiccups, few would argue that the Xbox has been anything but an unmitigated triumph for Microsoft in the last ten years. The launch of Kinect for the console, a motion and voice-sensor which Microsoft is touting as the fastest ever selling consumer electronics device, brought a major overhaul in design and the promise that this console was not being replaced any time soon. Indeed the launch of the Xbox 720 is still one of the most widely discussed secrets in gaming, with Microsoft hinting at 2015 and many pundits suggesting that it could be just a year or so away. But one thing's for sure, the Xbox brand is not going to be disappearing for some time to come, and few would bet against it still being around for its 20th birthday in 2021.